A few years ago, I started collecting recipes. I’m kinda a “foodie”– and I like making art in the kitchen– especially when it tastes delicious! I created this recipe for my youngest daughter- she likes milk chocolate, but not too much. She likes a vanilla swirl and is a fan of cheesecake. So I combined her two loves with some trial and error, and made this recipe. It’s been her favorite brownie recipe since! Melt chocolate with 3 tablespoons of the butter in a microwave. Stir constantly until smooth. Set aside to cool. 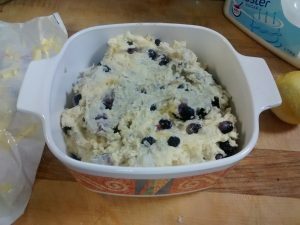 Cream 2 tablespoons butter with cream cheese until smooth. Gradually add 1/4 cup sugar. Cream until light and fluffy. Blend in 1 egg, 1 tablespoon flour and 1/2 teaspoon vanilla. Set aside. Beat 2 eggs until light and fluffy, then beat in 3 tablespoons butter. Gradually add 3/4 cup sugar and continue beating until thickened. Stir in cocoa powder, baking powder, salt and 1/2 cup flour. Add the cooled chocolate mixture, then stir in white chocolate chips and vanilla. Spread a bit more than half of the chocolate batter into an 8×8 inch greased baking pan. Spread the cream cheese mixture over the top. Then drop the remaining chocolate batter by tablespoons over the top of the cream cheese mixture. Swirl through batter layers with a knife and/or spatula for a marbled look. September Visiting Teaching Printables are Here! It’s Father’s Day in Australia this Sunday– so what are your plans for Dad!? September 2016 VT Postcard Printable. Remember, this prints 2 cards per piece of 8.5×11″ paper. Just print the first page, turn the page over and print on the back. Cut to size, add a stamp, and voila! Or- just print and take them to the women you visit teach! These are perfect recipe-card sized, and taking this with you ensure that everyone has a copy of the message to chat about. The message this month is another focus on parenting, and the recipe is my delicious creamcheese brownies recipes. I am overjoyed to add that this recipe has *finally* been declared edible by my fussy 6 year old. Previously, she did not like brownies. Too intense! But she likes these! A family friendly dessert– hurrah!!! Perfect for family home evenings! August Visiting Teaching Postcards are here! I’m behind this August, but have the postcard and a yummy (easy!) Korean Beef recipe this month! Happy school year for those in the Northern Hemisphere, and happy end of winter for those of us in the Southern hemisphere! Free “It’s Great to be 8” Lesson Plan and Octopus Craft! To do this: You need some yarn, scissors, a ruler and some cardboard. If you like, you can write these 8 things on a piece of paper and keep with the octopus. III. Since an octopus has 8 legs, which makes it a great way for us to remembers these important things about baptism. To start, have the children use a ruler to measure 8 inches. Have them cut a piece of cardboard from an old cardboard box that is 8 inches (20 cm) long, and about 2 inches wide. Have children choose the colour(s) of yarn that they like best. My soon-to-be 8 year old chose her favourite colours, dark pink and dark blue. Hold the yarn on the cardboard. Then wrap it around the cardboard 60 times. In this image, I did 30 rotations of dark blue, then I did 30 rotations of the dark pink. Slide the large loop off of the cardboard. Cut the yarn loop at the end that has not been tied off. Count 15 strings. Separate them into 3 groups of 5. Braid the 3 sections, as shown. Repeat this with the remainder of the yarn, tying each braid at the end to make 8 octopus legs. When all of the legs are braided, cut the opposite ended loop (the “hair”). Trim the legs and hair as desired. If wanted, glue or set buttons or googly eyes on the octopus. Remind all family members that this octopus is important because it reminds us of 8 important things about baptism. Close with a prayer and a sweet! June 2016 Visiting Teaching Postcards are here! The June visiting teaching printable and recipe card are ready! This month, the recipe is Lemon Berry Self-Saucing Pudding, whilst the message is Temple Ordinances and Covenants. Just click on the below links to download the PDF of the visiting teaching postcard. Print the VT message 06 2016 Page One(or do like I did last month, and cut poster paper to printer size). Turn the paper over and reinsert into your printer. Then print VT message 06 2016 Page Two. Next, add the names and addresses of the women you visit teach (or just print and take along when you visit. Talk about whatever you feel is right, and leave the message and recipe card for them to enjoy on their own! Lightly coat a 6 cup-capacity, deep ceramic (Corningwear) baking dish with butter. Pour into the prepared deep baking dish. Pour the sauce over the back of a spoon as to not disturb the batter in the baking dish. In a separate bowl, combine lemon juice and boiling water to make 1 cup (add more water if needed). Warm jam (not hot) on stovetop or microwave. Stir in the sugar, jam and zest of 1 lemon with the water and lemon juice until the sugar and jam are dissolved. Gently pour the sauce over the pudding as to not displace the batter. Bake for 40 mins or until the pudding is cooked through. Serve warm from the oven by spooning onto dessert plates with a side of cream or vanilla ice cream. Serves 8. 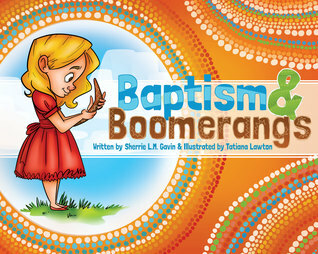 Join the Baptism & Boomerangs Goodreads Giveaway! To celebrate spring (BOOMERANG SEASON) in North America, the good people at Goodreads are giving away three copies in Baptism & Boomerangs over the next three months! There is no cost to enter the giveaway. None. Zero. Zilch. So click on the widget below to go to Goodreads and enter to win a copy of this book for you and your family! May 2016 Visiting Teaching Postcards Are Ready! Just click on the below link, print on cardstock (or do like I did this month, and cut poster paper to printer size), address, stamp and send! This is all free, and because I love Visiting Teaching! What were some of your favourite quotes from this past General Conference?